Lima bean (Phaseolus lunatus) plants exhibiting yellow mosaic and stunted growth symptoms, typical of begomovirus infection, were collected in Rampur city Nepal. 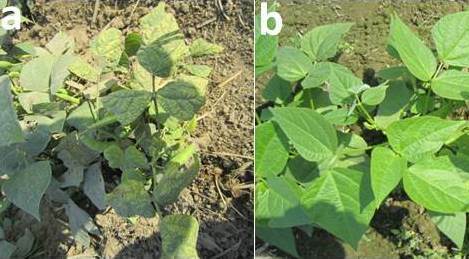 Symptomatic plants were shown to be infected by a monopartite begomovirus in association with a betasatellite. The two begomovirus isolates associated with the disease showed 98.7% nucleotide sequence identity to previously characterized isolates of the recently identified begomovirus species Pea leaf distortion virus (PLDV) from Nepal. The associated betasatellite isolates showed highest nucleotide sequence identity at 99% to Ludwigia leaf distortion betasatellite (LuLDB) from Nepal. 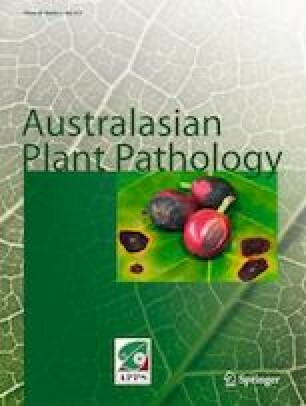 This is the first identification of PLDV and LuLDB infecting the grain legume Phaseolus lunatus. The online version of this article ( https://doi.org/10.1007/s13313-019-00630-6) contains supplementary material, which is available to authorized users. RWB was supported by the Higher Education Commission, Govt. of Pakistan, under the “Foreign Faculty Hiring Program”.